"In the arms of the angel, fly away from here ..." Music floods the room. Gentle hands touch the people in San Diego Hospice, where those who come soon leave in the arms of an angel. To this place of final days comes one who gives his all: Baxter. Baxter -- who is 19 years and 6 months old -- is a certified therapy dog that comes to the hospice to comfort the dying. Yet he himself will soon leave the earth. 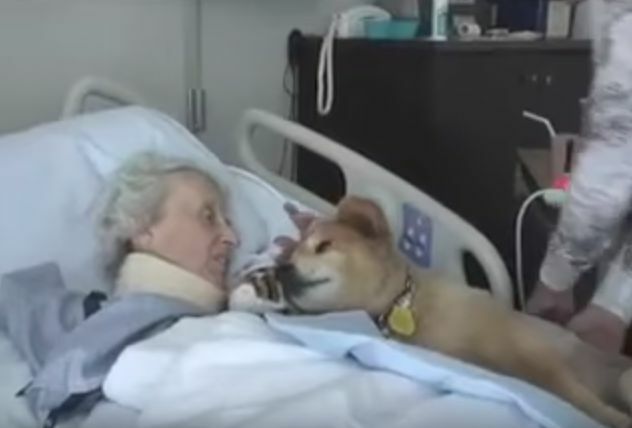 It's a perfect connection -- who else other than Baxter and those who are in hospice could understand the thoughts and cares of those whose lives are coming to an end? 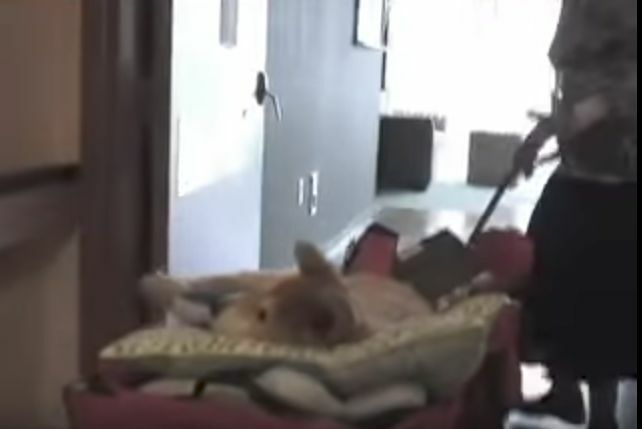 Melissa Joseph, Baxter's owner and best friend, takes him to see the people at San Diego Hospice to offer comfort and the kind of love only a dog's heart can give. Baxter is so old he can no longer walk. So Melissa carefully places him in a wagon and takes him down the long corridors. 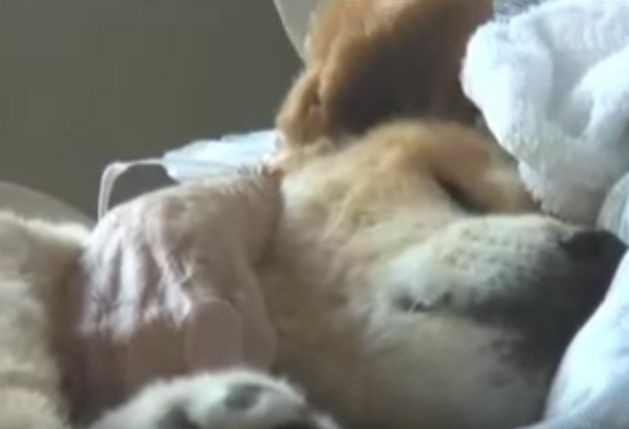 Though he can hardly lift his head, Baxter brings a sense of compassion for the dying to the loved ones who attend their aging family and friends. Everyone who meets him is glad to get his attention. Weighing just 37 1/2 pounds, Melissa lifts him up to the beds of the patients and -- at their request -- lays him down beside them. His soft fur and gentle licks are delightful to their aging hands. Those who thought they would never again enjoy snuggling with a dog have another chance when Baxter visits. 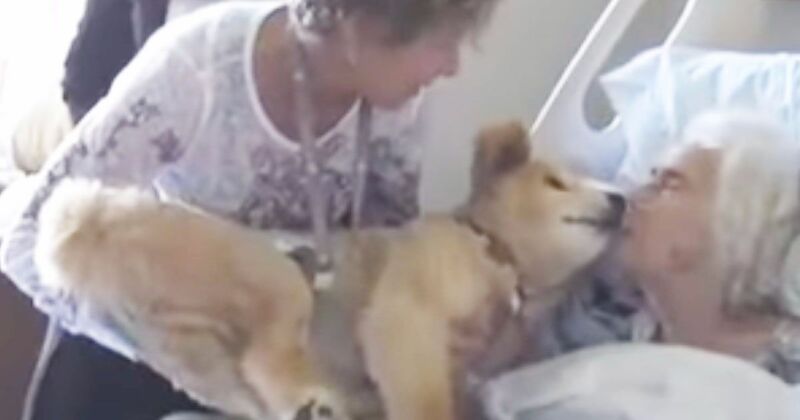 San Diego Hospice Chaplain Lisa McCollough comments that she has seen him lick the face of a patient for as much as half an hour, giving and receiving sweet kisses. Time is running out, but his love is strong. 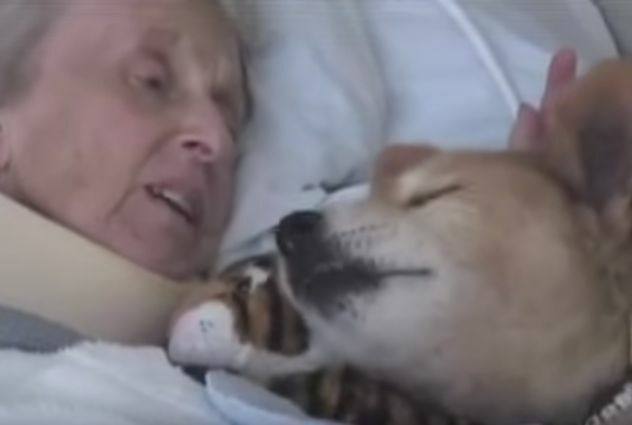 When he lies next to a dying person, he seems to have a special way of letting them know that he truly understands. "It's okay," he seems to say. "I'll be with you." 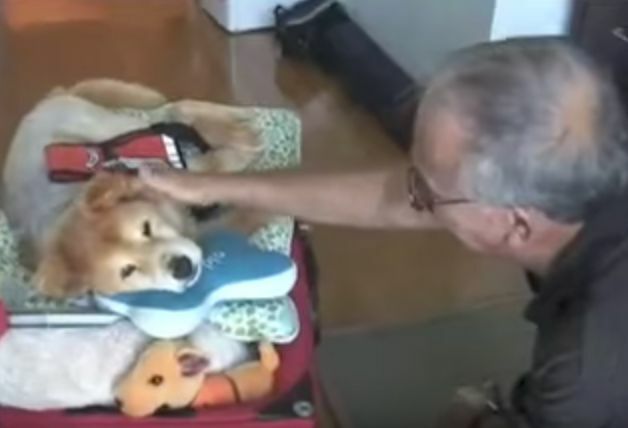 Shortly after this video was made, Baxter quietly slipped into eternity at home. No longer will he greet the dying in hospice. Instead, he'll romp with them in pastures of green in the great beyond. Watch this video. You'll never be the same! Maggie, an Australian Kelpie, is filmed at 30 years old, equivalent to 210 in people years! A mother will always protect her children.